Presenting a modern 980 Square Feet (91 Square Meter) (109 Square Yards) single storied small budget house. 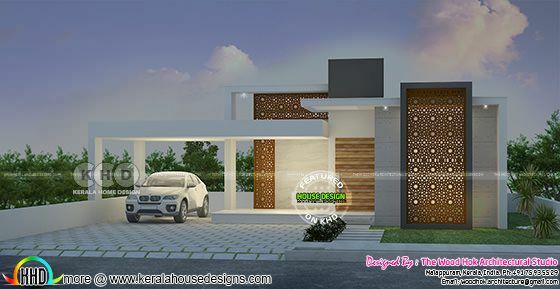 Design provided by The Wood Hok Architectural Studio from Malappuram Kerala. 0 comments on "Single floor Modern Small contemporary villa 980 sq-ft"